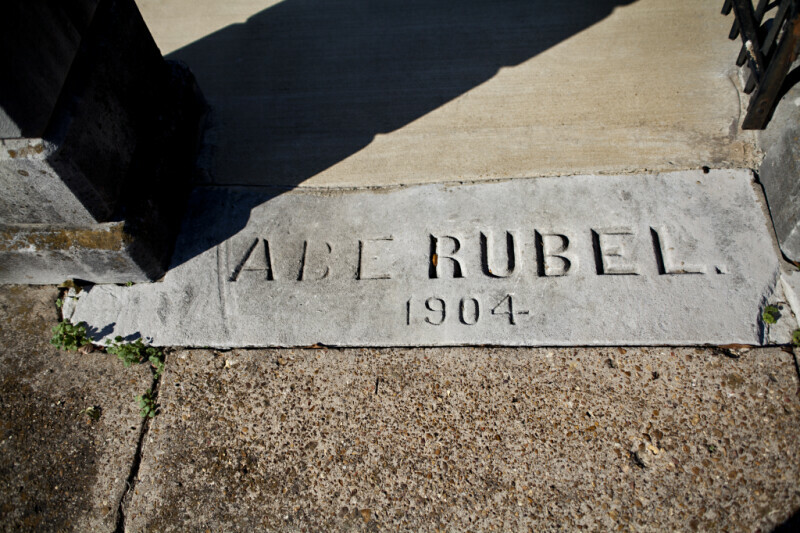 This is the Abe Rubel House, at 1109 Jackson Street. The house was built in 1904. This stone was inscribed with the name of the owner, and the date of construction, and was placed between the posts of a gated walkway.